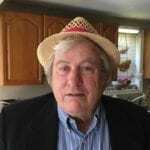 NASHVILLE, TN — Civil rights groups have long criticized Congress for not giving the U.S. Census Bureau enough money to do an accurate count of the nation’s population. Minorities have historically been undercounted and that affects political representation as well as $600 billion a year in federal funds that go to local communities for things like schools and roads. 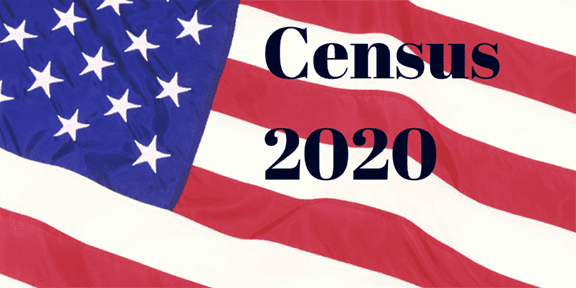 If the White House gets its way, the Bureau will undercount minorities once again because President Trump wants to ask people if they are citizens in the 2020 Census. There hasn’t been a citizenship question since 1950. The administration says adding one in the 2020 census is necessary to protect voting rights. “Not true,” says Vanita Gupta, President and CEO of the Leadership Conference Education Fund. The Voting Rights Act was passed in 1965 and since that time Gupta says no such question has been asked and no such data has been necessary to enforce civil and voting rights laws. “We know that adding this question on citizenship status will cause participation in the upcoming census to plummet and that vulnerable communities that are already hard to count will be most significantly impacted.” Gupta said. Gupta said Secretary of Commerce Wilbur Ross caved in to pressure from the White House against the advice of past and current census experts. She said Ross capitulated to Trump’s nativist agenda. “This is a scare tactic designed to scare people away from participating in the census,” said Arturo Vargas, Executive Director of the National Association of Latino Elected and Appointed Officials (NALEO). In a conference call, Vargas said he hoped the 2020 Census would finally address the undercounting of the young. “One million very young children were not counted in the 2010 Census, and of those one million children, 400,000 of them were Latino children,” Vargas said. NALEO has been working with the Census Bureau to design a more efficient and modern census form. Vargas said the Bureau’s partnership program has not been ramped up yet because of funding shortfalls. It is supposed to hire thousands of field workers and organize minority communities to get a more accurate count. In 2018 the Trump administration requested $3.8 billion to prep for the 2020 Census. Civil rights groups like the National Urban League say the bureau needed $933.5 million more to do the job right. Census watchers say conducting a fair and accurate census takes a lot of preparation and underfunding has not only delayed that work but also crippled the bureau from doing critical research and conducting field tests to make sure of an accurate count of some 300 million people. Digitizing data collection in 2020 is new and could save money but could also fail to count people who do not use the Internet. “All of this is complicated by the misguided decision to include the citizenship question,” said John C. Yang, President of Asian Americans Advancing Justice. “The partnerships and communication aspects need to be expanded and they need to be given more resources, and they need to start now,” Yang said. Attorneys General in seventeen states, six cities, U.S. Conference of Mayors, and the NAACP are suing the Trump administration for politicizing the national census. They want the citizenship question dropped from the 2020 Census form. 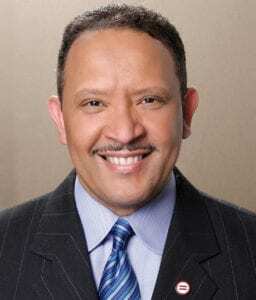 Marc Morial, President of the National Urban League said blacks were undercounted by more than 2 percent in the 2010 Census and 6.5 percent of black children were missed in that count. “It’s an insidious form of racial discrimination because it denies an entire swath of the American population access to privileges, protections and rights. The same is true of all people who are undercounted in the census,” Morial said. Morial said the Census Bureau recently reneged on a promise to stop counting prisoners where they are incarcerated instead of their hometowns. “This decision on residency continues to sacrifice the accuracy and constitutional protections in favor of a thinly veiled backdoor effort to suppress the African American vote,” he said. Morial said a fair and accurate census is vital for fair representation in elected positions all across the country. “The count is the foundation for all reapportionment that will take place in 20, 21, and beyond,” he said.